While out exploring, you and your fellow adventurers come across the ancient and lost city of Codinca. What a find! However, the former inhabitants didn't really want people just coming back to their places and rummaging around. As such, they've barred passage through the city via a set of elaborate puzzles. It's up to you to figure out these cryptic runes and be the first inside the temple, being able to claim the treasure within for yourself. That's the story behind Codinca, now available from Ninja Division. 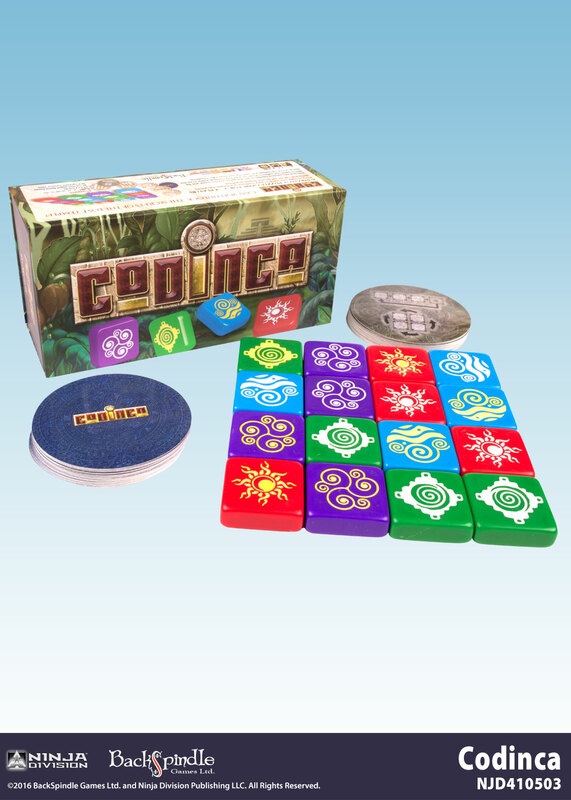 In the game, players are looking to arrange the tiles on the board to match their four key cards they have. They'll do this by flipping tiles over or moving them around the board. It won't be easy, as all of you are trying to get your keys done first.